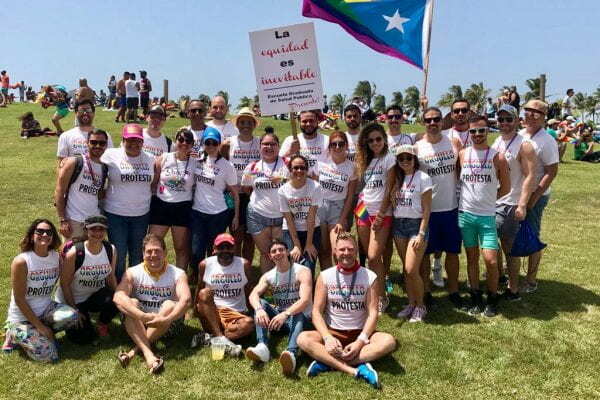 ISGMH faculty and staff members from the SMART Project, an online HIV prevention and sexual health promotion program for teens, recently visited San Juan, Puerto Rico to meet with colleagues from the University of Puerto Rico (UPR) and to attend San Juan Pride. This was the first San Juan Pride event since Hurricane Maria. The SMART Project is a bilingual eHealth intervention that is tailored to the specific needs of AMSM living in the United States. The project team at ISGMH is responsible for creating the English version and Dr. Carlos E. Rodríguez-Díaz and his team at UPR are responsible for adapting and translating the SMART Project into Spanish. Following a working group meeting with UPR, the SMART team joined Pride to recruit participants and record video for their project. 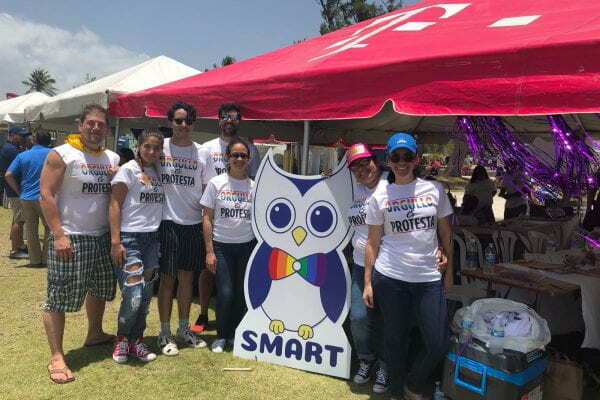 SMART Project team members both marched in the Pride Parade with UPR and helped staff a table at the Parque del Tercer Milenio where the Pride festival was held. Learn more about SMART and how to join as a participant here. SMART Project members from UPR and ISGMH at San Juan Pride, June 3rd, 2018.